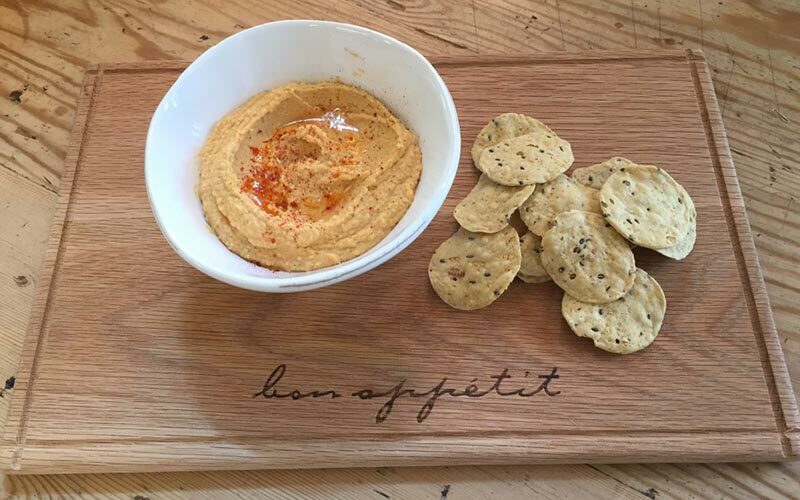 This Hummus Recipe recipe has been adapted from a recipe by Jamie Oliver so it is FODMAP friendly. Enjoy with corn crackers or on gluten free toast. 2 x 400g cans of chickpeas. Drained and washed. Leave a few chickpeas on the side for decoration. Blend the ingredients to a smooth consistency, whilst slowly adding the olive oil. More olive oil can be added to improve the consistency or taste if required. Spoon the hummus into a bowl, drizzle with extra olive oil, sprinkle with chickpeas and coriander (and paprika if desired).